This attractive timber garage was recently designed and hand-built at our Norfolk factory by expert craftsmen using only the finest FSC® certified Scandinavian Redwood timber for a customer based in Cambridge, Cambridgeshire. Delivered and installed by our in-house installations team, the building was assembled at the specified delivery address. 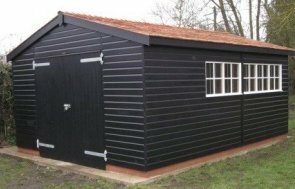 Measuring 3.6 x 6.0m, the garage is a building perfect for outdoor storage and workshop space. 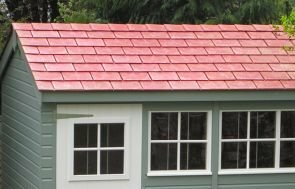 It has an apex roof covered with our heavy-duty, heat-bonded felt and an exterior fabricated from smooth shiplap cladding and painted in the Sikkens stain of Walnut. The customer also opted to add our security pack to the building for further peace of mind, which consists of a heavy-duty sliding bolt with fully encased seven lever lock, stainless-steel window bars and ‘un-screw-able’ screws in the door hinges. The customer also chose to add guttering to the building to keep off the wetter weather, with other extra options such as internal insulation, lining, electrics and workbenches also available for out customers wanting something specific. 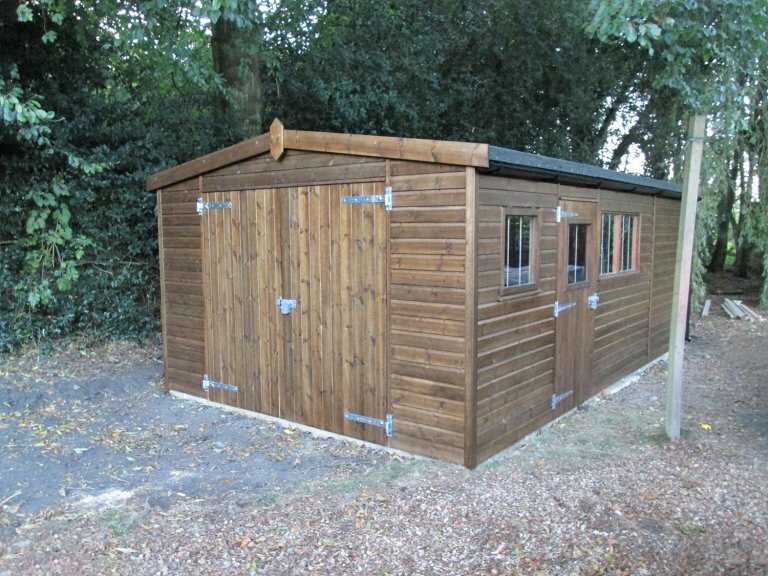 If you are looking for a high-quality timber garage, from a company that can cater to your needs and work with you to achieve your desired result, then we strongly suggest that you get in touch with us on 01760 444229 to see if we can help. Alternatively, pay a visit to one of our UK showsites to admire the buildings for yourself and get a feel for the high quality of our buildings.